RESTYLANE - Turn back clock without surgery! RESTYLANE - Look Younger Without Surgery! 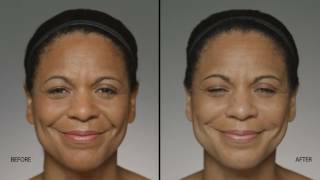 Restylane Perlane gently fills deeper wrinkles and folds, such as the nose-to-mouth lines and frown lines, resulting in a softer facial expression. Find out more about how Restylane can enhance your appearance and the different areas that can be treated. WHICH RESTYLANE PRODUCT IS BEST FOR ME? Always contact a Cosmedic Laser Clinic for a FREE consult to Restylane expert in bay area Dr. Neema Malhotra MD for a free consultation. Dr. Malhotra a Restylane physician will give you personal advise on which product suits your needs the best. There are many factors that contribute to skin aging, one of which is a loss of hyaluronic acid. As a result, your skin can begin to develop wrinkles and folds. The good news is you can do something about it. You can use the Restylane family of products to reveal a younger-looking you. The Restylane family of products includes Restylane, Restylane-L®, Perlane®, and Perlane-L®. These products can be used individually to add volume and fullness to the skin to correct moderate to severe facial wrinkles and folds, such as the lines from your nose to the corners of your mouth (nasolabial folds). Ask your healthcare professional which is right for you. Finally, there is an art to Injectable non-invasive facelift treatments - to achieve the best, most natural looking results it must be placed in the right muscle, in the correct place, at an ideal dose, by an experienced Dr. Malhotra. What are the possible side effects of Restylane®? The mouth is often in the center of attention. It is also particularly exposed to ageing, both from sun and wind, but also because you use it every day when you laugh and talk. With the help of Restylane your face can regain lost volume in a careful and natural way. By replacing the volume in some parts of the face you can achieve a more youthful look. Restylane Skinboosters treatments provide deep skin hydration and improve skin the structure and elasticity of the skin to make the skin soft and smooth with radiance. It's a part of life — our skin changes as we age. It becomes thinner, loses fat, and no longer looks as plump and smooth as it once did. Facial aging actually begins in your 20s, when skin firmness begins to decrease as a result of both internal (genetics and natural aging) and external (sun exposure, smoking, pollution, sleeping positions, etc.) factors. At CosMedic Laser Clinic. we do all of the above. We do only do non-invasive procedures using your own platelet plasma and fat and fillers. We do not do invasive procedures. If our aesthetic surgeons cannot help with minimally invasive procedures then we will refer you to a plastic surgeon for a traditional plastic surgery which has downtime and is expensive. The Restylane family of products includes Restylane. These products can be used individually to add volume and fullness to the skin to correct moderate to severe facial wrinkles and folds, such as the lines from your nose to the corners of your mouth (nasolabial folds). Ask your healthcare professional which is right for you. If you are seriously considering Restylane® or Perlane® we would love to share more information and answer your questions in person. Call us at (408) 945-0400 today to schedule your FREE consultation. Restylane® and Perlane are also called "a facelift in a bottle" or “liquid facelift”, is a purified protein. These products can be used individually to add volume and fullness to the skin to correct moderate to severe facial wrinkles and folds, such as the lines from your nose to the corners of your mouth (nasolabial folds). Ask your Dr. Neema Malhotra, an aesthetics expert, which product or combination of products and lasers is right for you. Restylane injection treatments usually last about 15-20 minutes and keep the muscles that cause lines relaxed for up to a year. In some cases, with repeated treatments, results are dramatic and apparent within days and unlike surgery it is fast, simple and minimally invasive. If you're considering a wrinkle treatment and are interested in understanding how various Restylane® or Dysport® can help you look younger and healthier we invite you to call us at 408-945-0400 to Book a FREE consultation. Perlane injections interrupt the signal from the nerve to the sweat gland to reduce the sweating in the area that is affected. The injection is done with a very fine needle and, for treatment of the underarms, face and head, anesthesia is often not required as the procedure is virtually painless. For treatment of the face, hands and feet, a mild local anesthesia is used to avoid injection discomfort. The percent reduction in sweating in clinical study was 83% in 95% of participants. The effect of treatment can be immediate or take up to a week, with the average duration of effect after a single treatment being about a year. Restylane is a clear gel formulation of hyaluronic acid that is specifically formulated to add fullness like your body’s own hyaluronic acid. What makes various Restylane® different formulations is the average size of the particles and the depth of injection. On average, the larger particles makes a good choice for wrinkles that benefit from a deeper injection into the skin. During your consultation, your physician Dr. Neema Malhotra will decide which product is right for you. The safety and effectiveness of products in the Restylane family for the treatment of anatomic regions other than nasolabial folds have not been established in controlled clinical studies. Patients should be limited to 6.0 mL per treatment. The Restylane® family of products instantly adds volume to help restore youthful contours, so you’ll see results immediately following your treatment. There is little to no downtime. In a clinical study of laugh lines (nasolabial folds), at least 95% of patients treated with Restylane continued to see results for up to 18 months after initial treatment when patients returned for a follow-up treatment at 4.5 or nine months. To learn how to get beautiful, long-lasting results with the Restylane Regimen, click here..
After your treatment, you might have some swelling, redness, pain, bruising, and tenderness. This will normally last less than seven days. True beauty doesn't lie. And neither do our pictures. The images to the left are real, unretouched photographs of a patient treated with Restylane. Simply drag the slider back and forth to show the results. After her Restylane® treatment, Mirav's friends were impressed with the way she looked—but they couldn't quite figure out what she'd done. 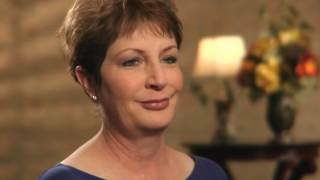 Hear her whole story. Everyone is different. Work with your healthcare professional to determine how much Restylane or Perlane® you may need to fully correct the lines from your nose to the corners of your mouth (nasolabial folds). Your healthcare professional may refer to this as "full correction," so ask for it by name. True beauty doesn't lie. And neither do our pictures. 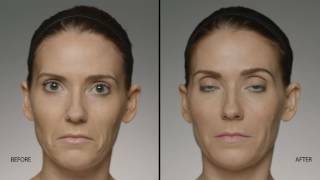 The Before and After images are real, unretouched photographs of a patient treated with Restylane. Listen to Vicki Story and Mirav's story videos above. Restylane Rewards® lets you enjoy great discounts and savings while being kept up to date on exciting changes coming to the Restylane® family of products. For a limited time, you can get up to $450 of savings on a treatment from the Restylane family of products. Contact Us 1-408-945-0400 or email us for special offers. Up to 6 mLs per treatment for up to $450 in savings! Mail-in redemption forms are available at the end of the Restylane Rewards® membership registration or in participating healthcare professionals' offices. Offer Terms and Conditions apply. For complete offer details, click here. You do not have to be a Restylane Rewards® member to be eligible for this offer. *At least 95% of patients' results lasted for up to 18 months from initial treatment when they had a follow-up treatment at 4.5 or 9 months. In three clinical studies, 63%, 71%, and 75% of patients maintained improvement at 6 months with just one Perlane treatment. The duration of effect of Restylane-L and Perlane-L has not been studied. †Minimum purchase of 2 mL required. ‡Minimum purchase of 1 mL required. Start your routine today. The Restylane Regimen makes it easy to maintain a lift that lasts. Your healthcare professional can help you make the Restylane Regimen part of a high-impact, low-maintenance routine tailored to your specific needs. Step 1 Receive your initial treatment. Your initial treatment with Restylane injectable gel will instantly lift wrinkles and folds by adding volume to help restore youthful contours. Ask your healthcare professional about the advantages of full correction. Step 2 Refresh your look with a follow-up treatment (at either 4.5 or nine months). Just one follow-up treatment can help refresh the immediate improvements of your initial treatment for up to 18 months. Step 3 Call to schedule a follow-up appointment. Discuss your needs with your healthcare professional. Contact Us at 408-945-0400 for a FREE consultation with physician. What is the Restylane family of products, and how are Restylane® Silk, Restylane® Lyft, Restylane®, Restylane® Refyne and Restylane® Defyne different? Restylane Silk is the first FDA-approved product specifically designed for subtle lip augmentation and the smoothing of wrinkles around the mouth. It is composed of a gel that is smaller and smoother than other Restylane products, resulting in a softer, more precise result — ideal for restoring and enhancing the lips. Additionally, Silk is administered via ultrafine needle, which is designed for improved accuracy and precision. Restylane Lyft is approved for cheek augmentation and the correction of age-related midface contour deficiencies, as well as the treatment of moderate to severe facial folds, such as the nasolabial folds (smile lines). Lyft is the first and only FDA-approved filler with the ability to provide fullness to the cheeks, as well as restore lost volume in the midface area. Lyft contains 0.3% lidocaine, which is added to reduce the discomfort during treatment. *XpresHAn Technology™ is known as Optimal Balance Technology outside the US. Restylane Refyne is known as Emervel® Classic and Restylane Defyne is known as Emervel® Deep outside the US. * The duration of effectiveness of Restylane for the correction of nasolabial folds (NLFs) was evaluated in a randomized, evaluator-blinded multicenter study. Restylane was shown to have an overall duration of effectiveness of 18 months from baseline following retreatment at 4.5 or 9 months. Since injection costs will vary from person to person, the best way to determine projected costs is to make a FREE consult with our physician. Coupon or rebate programs through Galderma and/or a specialist may be available from time to time. It’s a good idea to ask your specialist if there’s a discount program available at the time of consultation. We highly recommend joining ASPIRE Galderma Rewards, our loyalty program that rewards you with special points, offers and rewards for every Galderma aesthetic treatment you receive — not just the Restylane family. After your treatment, you may experience side effects, such as swelling, redness, pain, bruising, headache and itching at injection site and tenderness. These are typically mild in severity and normally last less than 7 days in nasolabial folds and less than 14-18 days in lips. Patients should be limited to 6.0 mL per treatment of moderate to severe facial wrinkles and folds. Swelling may be more likely in patients under 36 years, and bruising may be more likely in patients over 35 years. Please see below for Important Safety Considerations for the Restylane family of products. Are there any before and after pictures of Restylane results? View our Restylane Silk, Restylane Lyft, Restylane, Restylane Refyne and Restylane Defyne galleries to see real treatment results. You can only receive Restylane products from a trained specialist. Restylane Silk, Restylane Lyft, Restylane, Restylane Refyne and Restylane Defyne are administered by a physician or qualified healthcare professional. Are rebates available on Restylane products? Rebates and treatment discounts are at the discretion of your local healthcare professional or med spa. However, we invite you to join our loyalty program — ASPIRE Galderma Rewards — to earn rewards, bonuses and discounts for any and all Galderma facial aesthetic treatments, including Restylane Silk, Restylane lyft, Restylane, Restylane Refyne and Restylane Defyne! Just be sure to ask your healthcare professional if his or her practice is part of the ASPIRE Galderma Rewards program. The best candidates for the procedure are adults over the age of 18. However, if you are between the ages of 12 to 18; please consult your pediatrician or pediatrician at Silicon Valley Medical Clinic and the aesthetic physician to see if you will be a good candidate. In many cases, wrinkles in people over 65 are "static" and do not change when relaxing the face. Other procedures would work better for these patients, including Lasers, Radiesse and other dermal fillers injections. Each person is different however, and should undergo a consultation to determine the most effective treatment plan. Consultation is FREE at Cosmedic laser clinic. What are Restylane® Treatment areas?